作者: Khatuna Chapichadze on 21 December , 2016. Daily observation of the life quality in Georgia, as well as in the other two South Caucasian countries justifies the picture shown in the latest numbers; Caucasus Barometer 2015 regional dataset (Armenia and Georgia) says the “most important issue facing the country” in Georgia is “unemployment” (55%), while the second place is – “poverty” (15%). In Armenia we have almost the same answers to the same question; 42% of the surveyed identified “unemployment” as the number one “most important issue facing the country” and 17% – “poverty” in the second place. 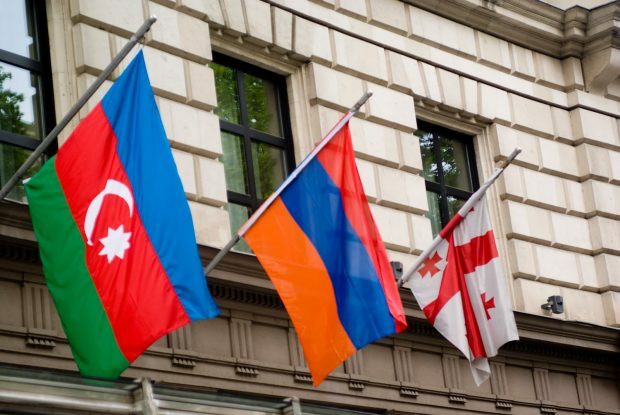 According to the latest relevant data for Azerbaijan (from 2013), Azerbaijanis think “unsolved territorial conflicts” (38%) stands as the most problematic issue, while – “unemployment” gains 25% of the votes, and “poverty” is in third place (8%). The survey question had nine possible responses: unemployment, poverty, unsolved territorial conflicts, tensions with Russia, unaffordable healthcare, low pensions, rising prices / inflation, other, and no answers. Since 2010, “unemployment” became the second “most important issue facing Azerbaijan”. Poverty continued to grow as a problem in Georgia moving from its initial place in fourth to second in 2015, as it likewise stayed bad or got worse in the region. South Caucasian societies are thus largely concerned with overcoming unemployment and poverty. The survival of these states is frequently in critical danger due to high levels of unemployment and poverty (especially with ongoing national currency devaluations and rising inflation), and foreign relations concerns such as choosing between the West and Russia feel secondary and even luxurious. Real needs, such as increasing the GDP and economic growth and performance, as well as the fairer distribution of wealth, are more urgent. The political elites and establishments in the South Caucasus must listen to and meet their societies’ demands for social and economic stabilization, fight against unemployment and poverty by supporting local production and agriculture, intervene in the economy for the especially vulnerable, and focus on the healthcare system, education, and so on. In order to claim public demands for solving social and economic problems and at certain degree ensuring safety for them in this regard as their foremost legitimate “real needs”, always has to be taken into account not exclusive understanding of the difference between GDP and successful economic performance/growth of a state/s, and GINI indices having no relevance in the sense of how equally or unequally the populations’ incomes are distributed. Important is acknowledging the fact that the mainstream political elites and establishments in the South Caucasian countries keep to constantly ignore to somehow admit, prioritize and meet their societies’ demands for social and economic stabilization, fighting against unemployment and poverty through supporting by all means first of all development of the local production and agricultural activity even initially via subsidies, balanced state intervention in the economy in general, with the special consideration of the vulnerability and focus on the healthcare system, education, labor and social affairs, etc. Furthermore, ongoing developments in Europe and the US (migration crises, rising unemployment, growing radical right-wing moods, nationalism, xenophobia, and in fact, identity crises) demonstrate that everything is permanently dynamic and mutable, and traditional societies in developing countries (such as the nations of the South Caucasus) cannot look to the West for guidance and assistance. Domestic challenges force democracies to focus on their own problems and effectively change their diplomacy tactics as well. All in all, South Caucasian countries have been effectively abandoned by the West, and they are especially vulnerable to additional Russian intervention. Although local politicians may try to use this strategic standoff to gain an upper hand, all three countries need to focus on economic and social development. Local leaders have even suggested putting in economic protectionist policies in some industries and agriculture. No matter what happens, the dynamics of the international scene are forcing South Caucasian politicians to look at real needs of the local population. Taking into consideration all the factors and arguments, South Caucasian countries can be more seen at certain point objectively abandoned especially from the Western influence to their real troubles and needs that has an already obvious potential to be used for the extension of the Russian intervention policy in the region or Ukraine. Distinctly in the situation more likely to be characterized with the lack of balancing opportunities, even if first of all the most pro-Western and anti-Russian Georgia attempts to use such strategy between Russia and the West, in our opinion, all the three South Caucasian countries need to focus foremost on their internal development problems. Not only the evident public demands signal pushing for prioritizing internal, i.e. social and economic development in these states through suggesting to implement for instance, even economic protection, intensive industrial or agricultural policies, etc., but also international events and as it once again can be witnessed, permanently changeable foreign environment exhibit the needs for shifting the local governments’ priorities towards actually meeting the local populations’ real needs and responding to them through appropriate initiatives and efficient policies in a more inclusive and adequate manner.